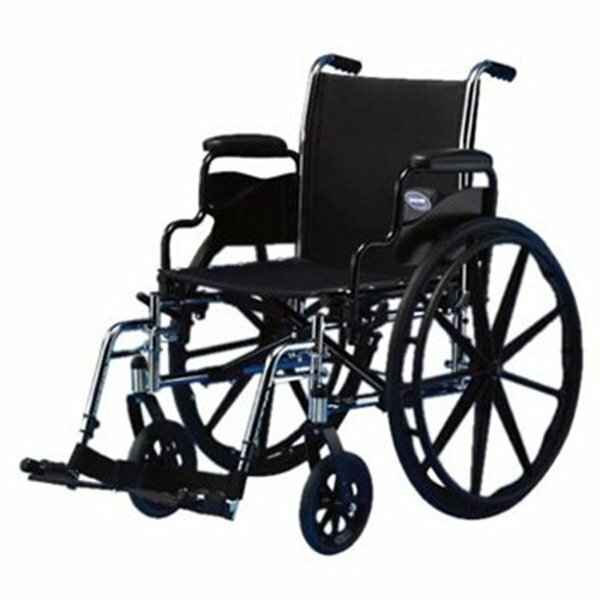 The Invacare IVC Tracer SX5 lightweight frame weighs less than 36 pounds, which makes this chair perfect for rental and long- or short -term use. The Tracer SX5 now combines the design and technology of the 9000 series wheelchairs,making it possible to interchange components. The Tracer SX5 offers multiple seat widths,depths, armstyles, sectional back and seat-to-floor heights by utilizing the dual axle position frame base.